Background: Water quality is measured in a number of different ways: measuring levels of chemicals and pollutants, measuring temperature and other physical parameters, and monitoring the animals and plants that are living in the water. The theory is that the animals and plants living in the water have certain requirements of their habitat (particularly a need for clean water) and so you can use the presence of certain “fussy” animal groups as a proxy for water quality. The problem is that, under climate change, species are moving around as environmental conditions – especially temperature – changes. This means that changes in the animal and plant communities at a given site might give the appearance of an increase in water quality while actually the arrival of new species is simply the result of climate change. What we did: I analysed an extensive dataset of British dragonfly and damselfly (known collectively as the “Odonata”) sightings to look for a pattern of geographical movement since 1960. Dragonflies and damselflies are an important group in biological water quality monitoring, as they are particularly sensitive to pollution. I found that the patterns of water quality that would be detected using Odonata at a generic site would appear to change over time with the changes in Odonata communities, independent of any changes in water quality. Importance: Biological communities are used extensively in the monitoring of freshwaters and this research emphasises the need to take distributional shifts that occur as a result of climate change into account when using this method. 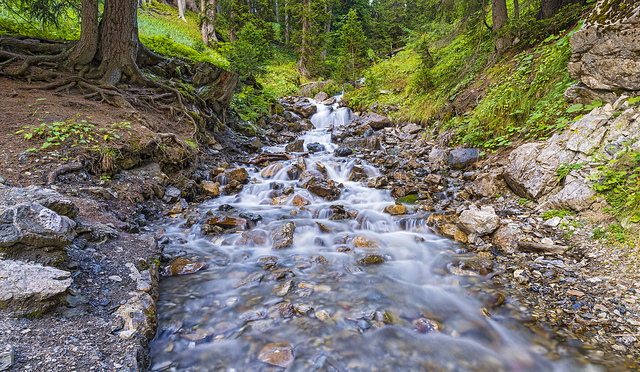 It is likely that water quality is improving, with better treatment of wastewater and better enforcement of environmental regulation, but accurate monitoring is the key to continuing improvement. Secondly, this paper demonstrates once more the fact that Odonata are responding to climate change. This is part of a series of short lay summaries that describe the technical publications I have authored. This paper, entitled “The impact of climate-induced distributional changes on the validity of biological water quality metrics”, was published in the journal Environmental Monitoring and Assessment in 2010. You can find this paper online at the publisher, or on Figshare.